We’ve looked at the overall benefits of dehydrating your own meals to take in the backcountry. The question that we usually want to be answered next is “what do I take?”. Most meals are built on three main components: carbohydrates, proteins, and fat. While each serves their own purpose, we’ll start with carbohydrates as it generally serves as the foundation for a meal. It’s also the nutrient that plays the most vital role in performing optimally in the backcountry. Most carbohydrates already have a “quick cooking” option adjacent to its longer-cooking counterpart perched on the shelves of most grocers. 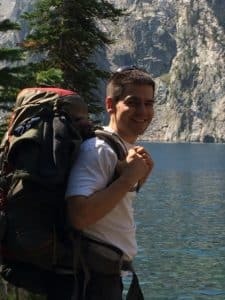 Brown rice, quinoa, couscous; all staples we should consider when heading into the backcountry, but what about some of the less thought of ideas? You have two options with this all American favorite. Option one involves separating the pasta from the delicious nuclear-yellow powdered cheese, cooking the noodles as normal, and dehydrating those grain-filled morsels of goodness once finished. Place the noodles in a baggie with the cheese, tote to camp and enjoy. The other option would be to make the macaroni and cheese as directed on the box and dehydrate the entire concoction. They key here is to ditch the boxed direction like the book that came with your 5-year-olds playhouse. Omit the butter the box suggests you should add as the fat is difficult to dehydrate. In its place you can simply use milk or add non-fat, plain yogurt; both can be dehydrated. I have a hunting buddy who swears this stuff falls just shy of having a to-go container of bacon mac-n-cheese from the local diner air-dropped into camp by a backcountry plane. 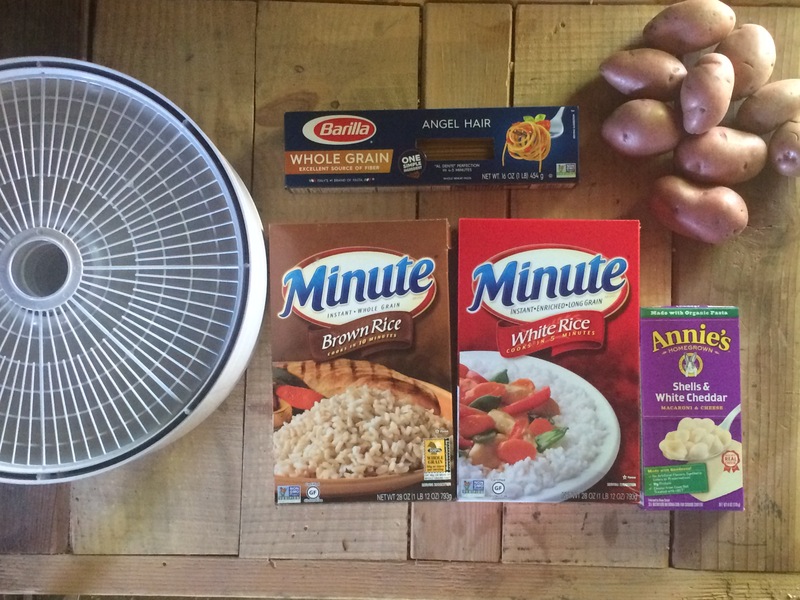 Just like the macaroni, you can prepare a box of Zatarain’s rice mix or Knorr’s flavored rice as you would normally and dehydrate accordingly. Temperatures can vary, but a good rule of thumb is about 120 degrees. Throw some of this on a tortilla, or combine it with some burger for dirty red beans and rice in the backcountry. White potatoes?! Absolutely. It’s time we stop fearing food and start seeing it for the beneficial qualities it possesses. Potatoes provide ample carbohydrate for fuel, more potassium than a banana, and a solid helping of vitamin C; all nutrients in short supply with most dehydrated backcountry meals. A guy would have to be foolish to overlook these foods are possibilities. Admittedly, there is a bit more work involved with these, but it’s still not impossible. The results are definitely worth the effort. You’ll bake your sweet potatoes like normal in the oven to ensure the flesh (inside) is nice and soft. Run the potatoes through the blender until you have a smooth consistency with any seasonings you enjoy. You may also add some chicken stock if a liquid is needed to reach the consistency you’re aiming for. Place the mixture on the non-stick tray inserts and dehydrate for about 5 hours at 125 degrees. Check the mixture and flip around the 5-hour mark to ensure both sides are dried well. Once 10 total hours have passed, pull the mixture from the sheets and allow to cool. You’ve now got two options with your newly formed sweet potato “bark”. You can simply stick broken pieces into a zip-loc bag or vacuum seal for meals. If you’d like to avoid the risk of a bag puncture caused by mini sweet potato knives, you can stick the bark in a blender to form a powder. This powder is usually accepted as currency from other backcountry outdoorsmen and women. Carbohydrates are the keystone of a solid nutrition plan heading into the backcountry. They help propel those size 11 boots over blow-downs 3 miles into the backcountry, add excellent variety, and make up the base of most folks meals. Plain couscous and other quick-cooking grains will definitely work fine to meet your carbohydrate needs in the backcountry, but these undoubtedly add some much-needed variety to the menu. Make no mistake, that variety will be much appreciated about the time you find yourself mixing up another bowl of plain, soggy, and luke-warm rice at sunset. Edible sources of carbohydrates can also be found in the wild. Check out our series on edibles found in the northwest for fun ways to increase variety in your backcountry diet. 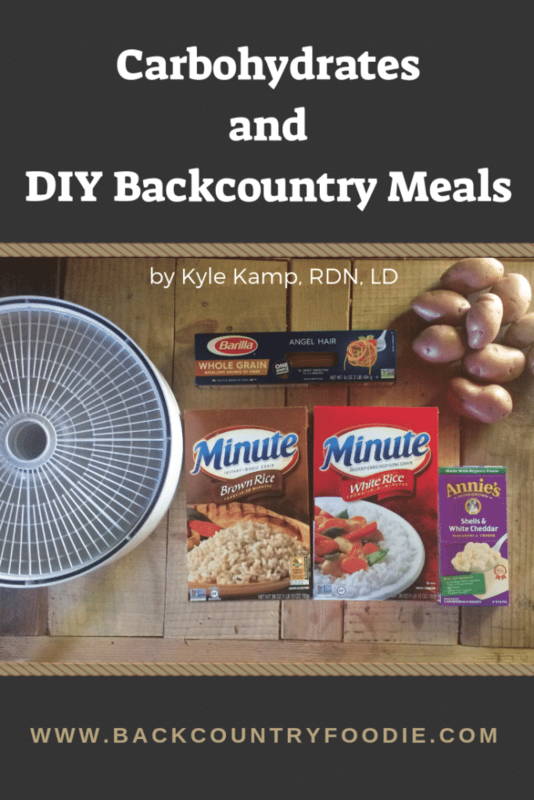 Kyle also continues his series of posts by sharing the importance of protein and fat when preparing DIY backcountry meals and dehydrating canned and frozen foods.